Riverdale has its Veronica. Deadline reports Camila Mendes has been cast in the role for The CW’s Archie Comics pilot. The series comes from producer Greg Berlanti and writer Roberto Aguirre-Sacasa. Mendes will play Veronica Lodge, “a silver-tongued high school sophomore who returns to Riverdale from New York, eager to reinvent herself after a scandal involving her father.” Mendes will star opposite KJ Apa as Archie, Ashleigh Murray as Josie, and Luke Perry as Archie’s father, Fred Andrews. Riverdale is being envisioned as a “subversive” take on the classic comic book characters. What do you think? Are you an Archie Comics fan? Would you watch the series? I’m beyond excited and I love the cast members. 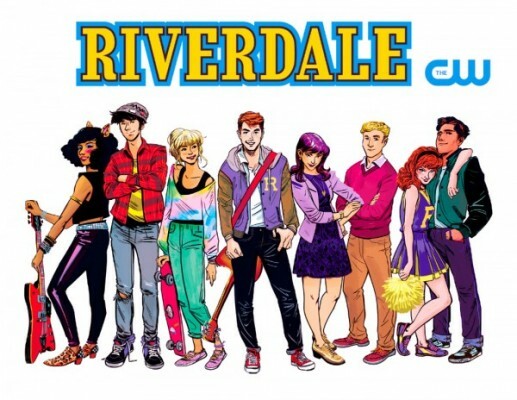 My friends and I will be having our own Riverdale Reunion for the Comic Book. Life time Fan.